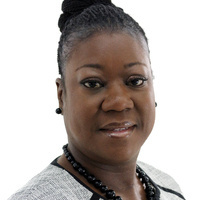 Sybrina Fulton, the mother of Trayvon Martin, author and advocate, will speak as part of the university’s Martin Luther King Jr. Celebration. In 2012, at the age of 17, Martin died during a violent confrontation in Florida. The publicity surrounding his death and the ensuing trial catapulted the country into national debate. Since then, Fulton has co-authored a book about her son and become a spokesperson for turning family tragedy into social change. Tickets for the Keynote Address with Sybrina Fulton are sold out. Register to receive the livestream link to the keynote and join us virtually at osufoundation.org/mlk.